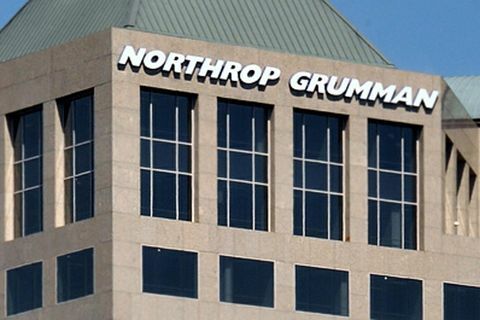 FALLS CHURCH, Va. – April 8, 2019 – Northrop Grumman Corporation (NYSE: NOC) announced today that its first quarter 2019 financial results will be posted on its investor relations website on April 24, 2019. Prior to the market opening, and after the filing of the earnings release on Form 8-K with the Securities and Exchange Commission, the company will issue an advisory release notifying the public of the availability of the complete and full text earnings release on the company’s website at http://investor.northropgrumman.com. The company’s first quarter 2019 conference call will be held at noon Eastern time, Wednesday, April 24, 2019. Kathy Warden, chief executive officer and president, and Ken Bedingfield, chief financial officer, will review first quarter 2019 results. The conference call will be webcast live on Northrop Grumman’s website at http://investor.northropgrumman.com. Replays of the call will be available on the Northrop Grumman website for a limited time. Presentations may be supplemented by a series of slides appearing on the company’s investor relations home page. Note: Statements in this press release, and statements to be made on the conference call, contain or may contain statements that constitute “forward-looking” statements within the meaning of the Private Securities Litigation Reform Act of 1995. Words such as “will,” “expect,” “anticipate,” “intend,” “may,” “could,” “should,” “plan,” “project,” “forecast,” “believe,” “estimate,” “guidance,” “outlook,” “trends,” “goals” and similar expressions generally identify these forward-looking statements. These forward-looking statements speak only as of the date when made, and the Company undertakes no obligation to update or revise any forward-looking statements after the date of this press release except as required by applicable law. Forward-looking statements are not guarantees of future performance and inherently involve a wide range of risks and uncertainties that are difficult to predict. Actual results may differ materially from those described or implied in these statements based on a number of factors, including global economic conditions, economic conditions in our industry, government fiscal and budget policies, changes in interest rates and other market conditions. A discussion of these risks and uncertainties is contained in the Company’s filings with the Securities and Exchange Commission.